Last week we heard that Microsoft was adding keyboard and mouse support to the Xbox One, but the company wasn't fully clear on why or how this support would be integrated. Now, thanks to The Verge's interview with Microsoft's head of Xbox, Phil Spencer, we're getting a better picture of what features the company is planning to add to the Xbox One in the future. According to Spencer, Microsoft is working on streaming PC games to the Xbox One; essentially the reverse of Xbox to PC game streaming that is currently supported by the console. To get this type of game streaming working correctly, naturally you need to have proper keyboard and mouse support on the Xbox One. There are a number of challenges to overcome before PC to Xbox One game streaming becomes a reality. One such challenge is encoding the games on the PC side and having enough bandwidth to stream them to the console. The encoding in particular is "a little more challenging" on the PC side, but Spencer says that "challenge is good". The challenges likely arise due to the wide range of hardware a user can have in their PC, as Microsoft will need to figure out what hardware combinations can actually support simultaneously rendering games and encoding streams. Streaming from Xbox One to PC, which you can currently do if you're running Windows 10, is easier as Microsoft knows "exactly what you have". If Microsoft manages to get game streaming from PC to Xbox One working alongside existing Xbox One to PC streaming, it will strengthen the company's gaming ecosystem significantly. Gamers will be able to play PC and Xbox games wherever they want, whether that's in the living room on a TV via an Xbox One, on a gaming PC at a desk, or even on a mobile device like a tablet. Spencer acknowledges that gamers "want to play games on the device that they want to play on", and the integration between Microsoft's living room console and Windows 10 will be key to this vision. With the Xbox One set to be upgraded to a variant of Windows 10 in the near future, there are many possibilities for tight integration between the two. Why not just capture the video and feed the stream the inputs like that really efficient application reported on the other day? Curious which games will be supported. Would it just be games that support the tech, Microsoft only games, or any game? Can I stream my Steam library? Questions remain, but still interesting. 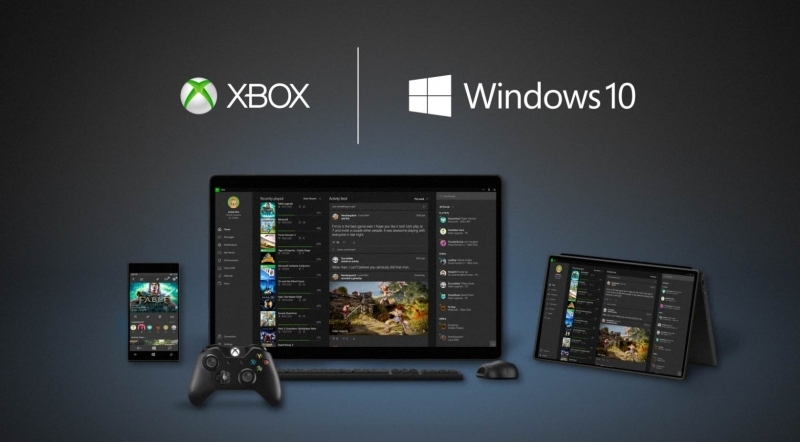 How about the ability to stream XBONE games to PC? Now that is a question worth answering. Can't tell if serious, but that is actually a supported feature with windows 10. Kevin82485, Teko03, Burty117 and 2 others like this. Considering that you can currently stream ANY XBOX One game to the PC, it's safe to assume that any PC game will be able to be streamed to the XBOX, as this is an OS-level & XOBX app feature. Was serious, wasn't aware of such feature. That's great, I actually might get an XBONE.